A cryptocurrency news site formed by Mike Johnson in June of 2014. 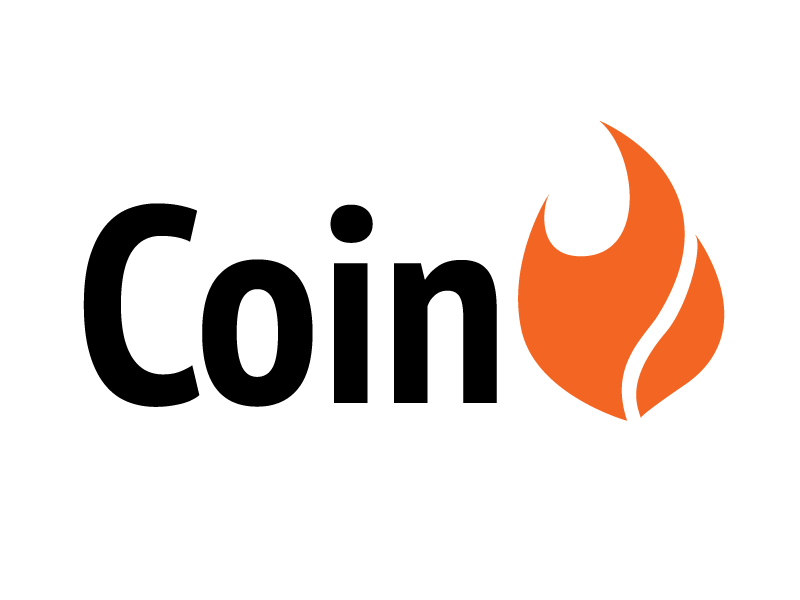 Coin Fire has been known to produce several stories in the cryptocurrency space. On June 14, 2014 Coin Fire reported that 1-800-Flowers would soon begin accepting bitcoin. It was revealed that the 1-800-Flowers company was working with Coinbase and that Chris McCann the President of 1-800-Flowers was himself directly involved in the negotiations. Approximately two weeks later the company made a public statement and validated the earlier Coin Fire reports. In early July of 2014 the website CoinJelly issued a press release stating the company had received insurance coverage for deposits. Many in the cryptocurrency news space ran large pieces speaking about the insurance that was allegedly provided by Zurich Financial Services Australia Limited. An investigation in to the claims made by the company eventually would show that Zurich was not providing insurance to the company. On August 5th 2015 it was announced via the Coin Fire website that Alex Jones that evening would announce acceptance of bitcoin for his products. The story had proven most controversial on reddit. Coin Fire exclusively reported news from Overstock CEO Patrick Bryne that Overstock would begin donating 4% of bitcoin revenue to organizations working to promote cryptocurrency. On September 19th, 2014 it was reported on reddit and bitcoin talk that Butterfly Labs had been raided by the USMS on behalf of the FTC. Coin Fire was also contacted by several employees at Butterfly Labs who began confirming the reports. The staff at Coin Fire began verifying the sources and found they were in fact active Butterfly Labs employees and began working to call contacts at the local USMS offices who would deny the report. As the story began receiving more traction across the community the Executive Editor of Coin Fire made several calls to the FTC who initially denied the reports. Mr. Johnson reached out to sources inside the FTC who would confirm the raid and subsequent court sealed documents. In an effort to provide documents backing the claims the editor then traveled to the Washington DC and began working with sources inside the commission who helped unseal documents for public consumption. Over the weekend Mr. Johnson tweeted photographs of the court orders and on Monday once the documents were unsealed provided them for public consumption on the Coin Fire website. The situation was the first in a long series of government documents that Coin Fire editors and staff would be provided regarding cryptocurrency companies. On October 15th of 2014 Coin Fire contributor Leo posted a review of the GAW Hashlet mining service in which he expressed unaddressed concerns that the mining service was not actually mining. At the time of publication GAW Miners was not willing to comment on the story. After several months of investigation Coin Fire released a story on November 22nd that refuted previous claims of partnerships with several major mainstream retailers and GAW Miners. The feature prompted several letters from legal representation of Mr. Homero Joshua Garza and representatives of GAW Miners. Not bowing down to the threat of legal action the Coin Fire editorial team would go on to write several more pieces regarding the GAW Miners, Paybase, and Paycoin controversies. The US Securities and Exchange Commission (SEC) has filed suit against a former employee of the now-defunct cryptocurrency mining company GAW Miners. Carlos Garza, according to a 14th August filing, has allegedly refused to comply with a SEC subpoena in connection with its long-running investigation into GAW Miners and CEO Josh Garza. The existence of an SEC Investigation of GAW Miners was thereby confirmed validating previous reporting by Coin Fire. Controversy has existed around the ability of Coin Fire to obtain confidential information, quotes and documents. Executive Editor Mike Johnson has gone on the record publicly several times stating that he has fostered connections from previous projects, employment and friends. The site has also committed to helping others establish editorial guidelines to vet information as a result. On February 2nd 2015 the Executive Editor of Coin Fire Mike Johnson announced in a blog post that Coin Fire would begin the process of releasing an "editorial bible" and a "contributor bible". The documents are designed as internal guides that the site is working to prepare for public consumption that contains mission statements, editorial policies, standards for content and other additional information that could be useful to not only those in the cryptocurrency news space but other blogs as well. The "bibles" will be released on GitHub according to remarks made publicly by Mr. Johnson. ↑ http://coinfire.io/2014/11/22/is-gaw-miners-lying-about-partnerships/ Is GAW Miners Lying about Partnerships? This page was last edited on 19 October 2015, at 01:14.